Abstract: Neuroscience has made remarkable progress in unraveling the machinery of the human (mammalian) brain, both at the cellular (individual neuron) and "systems" level (brain as a neural network computer). From this has emerged a fascinating contemporary technical (and ethical) challenge for engineers/physicists: How to implement a functional interconnect between the biological neural circuitry and micro/optoelectronic circuits, for creating a "brain-machine" interface to further advance our understanding of the brain for medical and other applications, including the new field or neural prosthetics. Extrapolating to the extreme, or perhaps absurd: Can we envision connecting the brain directly e.g. to the internet, and if so, how would we want to embark on such a journey, literally at the interface of life and physical sciences? This presentation will selectively highlight current research which points to the prospect of an electronic/photonic communication link via chipscale, implantable recording and stimulating micro/nanodevices to the brain. At the neural circuits level, advances of recording of electrical impulses from regional neuronal assemblies by microelectrode arrays implanted to the motor cortex, with signal decoding, have led to a recent demonstration of "thought-to-action" control by a paralyzed human patient of a device such as a computer cursor (mouse) . While the system electronics in this breakthrough are presently bulky and tether the human subject to complex lab instrumentation, work is underway to compact the electronics on a chip which directly integrates to the micro/nanoscale neural probes . The ultralow power requirements associated with implanting of such chips within the brain, and telemetry of signals to the exterior of the body draw on innovations both in micro/nano electronics and photonics. Finally, as a means to input cues to the brain from external sources, application of spatio-temporally patterned stimulation directly to the cortex is being pursued by both electrical and optical means. In one recent example, genetic engineering techniques have created photoresponsive neurons in mouse brains, which can be directly triggered by (blue) light impinging on the cortex . L. R. Hochberg et al, Nature and use of neural control signals, Society for Neuroscience Annual Meeting (2005). Biography: Arto V. Nurmikko he received his B.S (Phi Beta kappa), M.S., and Ph.D. degrees in Electrical Engineering University of California, Berkeley. After a fellowship at the Hebrew University in Jerusalem and a postdoctoral position at MIT, he joined the Brown University faculty in Electrical Engineering in 1975. Since 1994 he has been the L. Herbert Ballou University Professor of Engineering and Physics at Brown. He was the director of the multidisciplinary Center for Advanced Materials Research on campus during 1989-2001. Professor Nurmikko is an expert in photonics, nanosciences, and the translation of device matter research to new technologies in physical and life science applications. 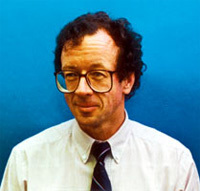 Among his scientific highlights is the development of the blue/green semiconductor lasers in the early 1990s. Other work has demonstrated ultrafast optical switching of magnetism while probing the fundamental dynamics of magnetization reversal for magnetic information manipulation. His current interests are focused on optoelectronic material micro- and nanostructures and their device science especially for neural interfaces. Another thrust is the development of semiconductor sources at ultraviolet wavelengths. Professor Nurmikko is an author of more than 300 scientific journal publications. He is a Fellow of the American Physical Society (1989), of the Institute of Electrical and Electronics Engineers (1997), and of the Optical Society of America (1993). He received a Guggenheim Fellowship in 1992.